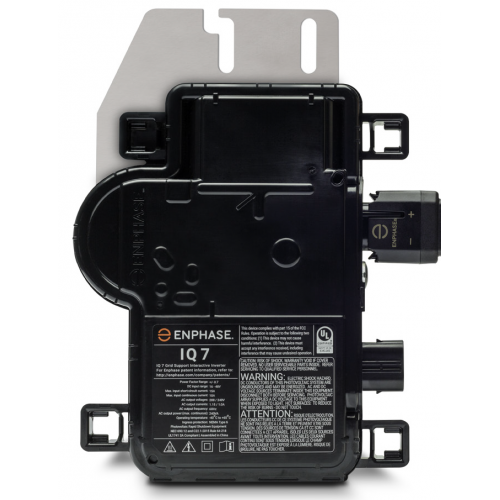 The high-powered smart grid-ready Enphase IQ 7 Micro achieve the highest system efficiency. Part of the Enphase IQ System, the IQ 7 integrate seamlessly with the Enphase Envoy-S, and the Enphase Enlighten monitoring and analysis software. The IQ 7 Micro extend the reliability standards set forth by previous generations and undergo over a million hours of power-on testing, enabling Enphase to provide an industry-leading warranty. The IQ7 inverters each come with a DC module connector included. We also stock of spares if required: partno EN-Q-DCC-2-INT. IQ7 microinverters come pre-set to UK G83/2 as standard, if installing in a different country and requiring different grid setting, ENVOY device will be required.